A new report released Wednesday by the United States Department of Agriculture shows one in ten Minnesotan households doesn't always have access to enough food for a healthy lifestyle. The numbers are part of an annual survey conducted for the United States Department of Agriculture. Every December, U.S. Census workers ask people all over the country a series of questions about food. They're counting how many people lack consistent access to enough food. It's the closest thing to an official hunger count. The report says 14.5 percent of American households are food insecure — close to 49 million people. But in a conference call this morning, USDA Undersecretary Kevin Concannon pointed out the good news. "What is really important to note is that these numbers did not increase in this past year, despite persistent poverty and unemployment right across the country," he said. In Minnesota, 10.3 percent of people reported they live in households that sometimes struggle to get enough food. That's based on a three-year average, between 2008 and 2010. Over that same period, 4.4 percent reported what's called "very low food security." That's when people not only worry about or struggle to get enough food, but actually eat less or skip meals because there isn't enough. Minnesota's numbers are below the national average — and they haven't risen much, despite the recession. Colleen Moriarty, executive director of Hunger Solutions, credits government and nonprofit support. "In Minnesota the fact that we've been able to do outreach, and that we've been able to get more people into the food shelves — more seniors, more families — more people enrolled in school lunch, that all helps to maintain a level of security," Moriarty said. "If that infrastructure wasn't there, we would be in much worse shape than we are now." She said food stamps, known as Food Support in Minnesota, have been especially important. More than 500,000 Minnesotans are now on food stamps. 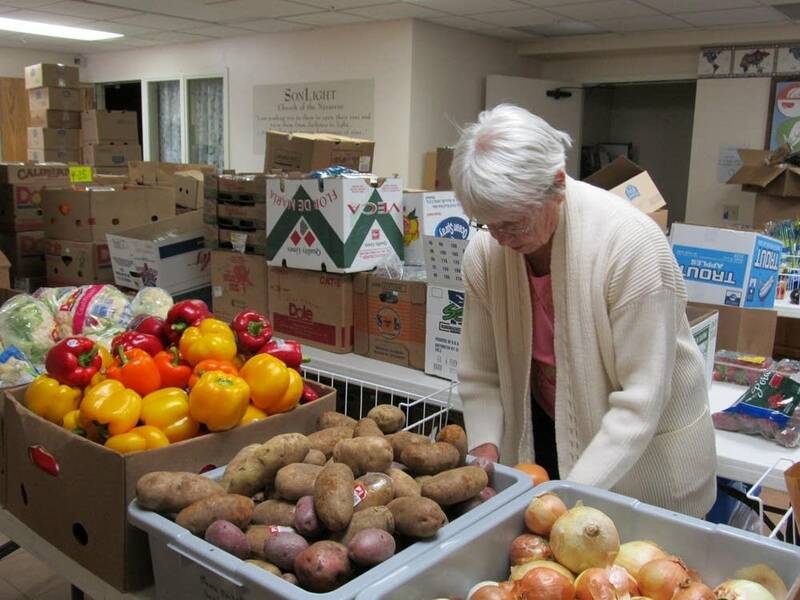 Food shelves have seen more than a 50 percent jump in visits since the spring of 2008. Kathy Wills, who runs nine food shelves for Family Pathways in counties just north of the Twin Cities, has seen the jump in her food shelves. "Maybe they're beginning to understand where to go to, but they're still coming," she said. "It's not slowing down." "We're still not out of the woods," she said. "We're just seeing different folks. Folks who have used up their savings and have nothing else." Maybe, she concedes, the increase in food shelf use is part of why the food insecurity numbers aren't rising. But even if they aren't getting worse, those numbers seem to be stuck at record levels in many parts of the country. Colleen Moriarty, at Hunger Solutions, said it's going to take a big change before the number of people struggling actually goes down. "Until the economy improves, until we see the increase in availability of funds to be able to raise the level of social security, or people are employed at a living wage, we will continue to see this need," she said. For now, Moriarity is concerned about whether food shelves can continue at this pace and wonders what will happen if the federal government cuts back on programs that currently address hunger. Julie Siple is the producer for MPR News with Tom Weber.